Help homeless hounds! Your ticket includes dinner, live band, and the opportunity to win prizes! How to Make a Shelter Pet Happy! Shelter pets need all the love they can get… here’s how to help. What you should and shouldn’t do when you find an injured animal and places to contact. Take a Peek at the Pet Events Happening in August! Take your dog to the market, beach day with basset hounds, attend a cat convention, and more! 5 Homemade Treats That’ll Have Your Dog Wagging for More! Spoil your pup with these yummy treats! New Petsguide Issue is Here! It’s 32 pages jammed packed with ways to celebrate and pamper your pet! Fun Pet Events in July! 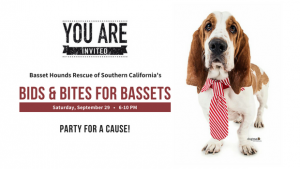 The fun includes Yappy Hour at the Ritz, a surf dog competition and more! Grab the leash and check out over 50 parks, beaches, and trails in 25 cities! 14 Pawsome Pet Events in June! Events this month include a super pet adoption event, Pawpalooza, and even a fancy rat show! Don’t let Fido get a heatstroke! Be prepared for that SoCal heat.